A solid pair of handcrafted door knobs, popular for their weight and simplicity. Our polished Nickel finish achieves a Contemporary take on a Traditional Handle, simple but a real classic. 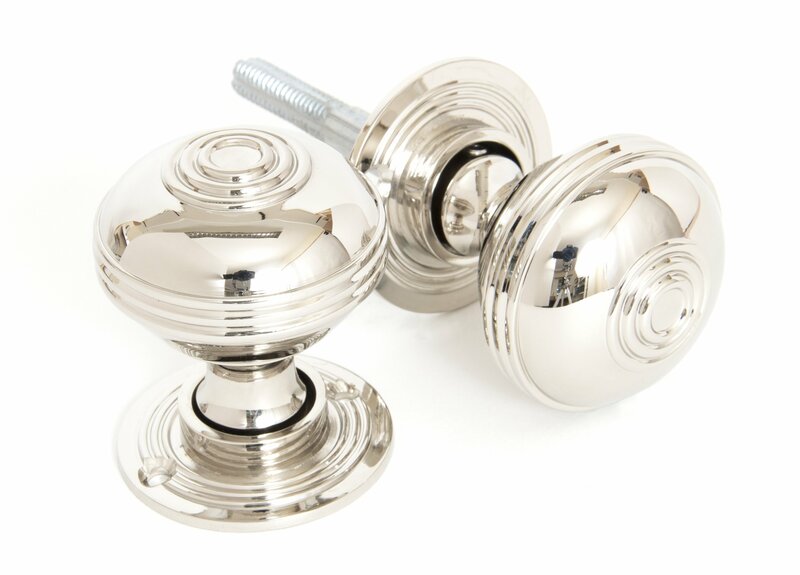 These knobs will tarnish in time as part of the ageing process but can be polished time and time again if you want to achieve a more contemporary finish. Our knobs come unsprung, are hollow and have loose roses to enable them to be used with a rim lock (discard one rose) or use with a mortice lock - For more information see our guide to locks & latches here. 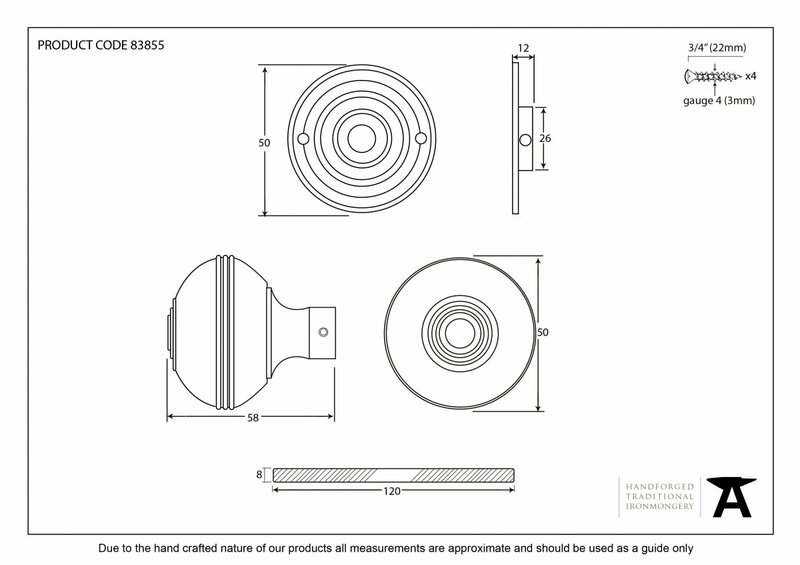 They have 8mm threaded spindle to take adjustment for various door thickness and lock firmly with a grub screw. The grub screw should locate on the 'V' in the shaft and not on the threaded part. For best results the center of the knob should be a minimum of 3'' from the edge of the door. Heavy Duty latches of 4'' or 5'' are recommended for maximum efficiency. Supplied with necessary fixing screws. Finished in Polished Nickel - for more information see the finishes guide here.